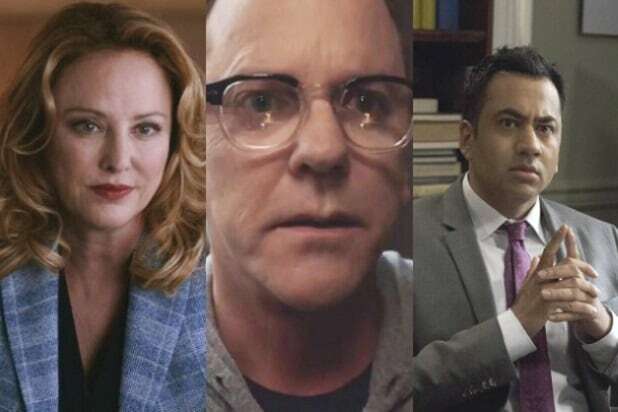 'Designated Survivor': Why Has It Had So Many Different Showrunners? 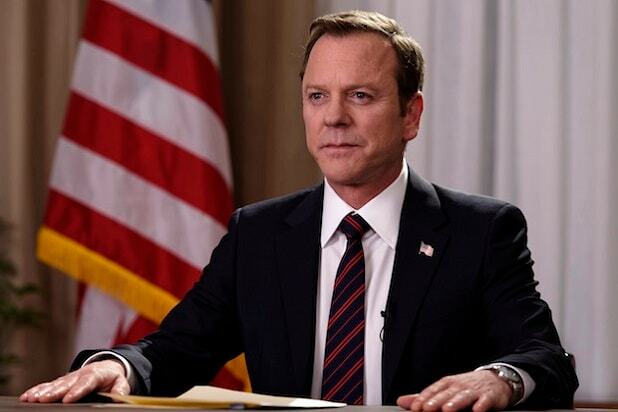 “Designated Survivor” has been a buzzy show right out of the gate since launching last fall on ABC, thanks in part to Kiefer Sutherland taking the reins as President Tom Kirkman. So why has the sophomore drama had so much turnover in the showrunner position? “The Good Wife,” “Law & Order” and “Gilmore Girls” alum said the series was looking to develop its character relationships and shorter-term storylines, rather than focus on action and government conspiracy. He said the show’s team is now concentrating on how to take the hook of its premise and extend it into a project that lasts for years to come. Designated Survivor” airs Wednesdays at 10/9c on ABC. The clandestine former military contractor is the money man behind Pax Americana, the militant, alt-right group trying to take over the government. He talks a lot about "taking America back" and, like the real alt-right, that comes off as code for taking it back from people like progressives, minorities and women. Of course, he's just a greedy jerk who thinks America belongs to him and whoever he decides gets to come along. Evil assassin super soldier Catalan, AKA Nestor Lozano, is a veteran who considers himself left behind by his country. He's basically the Marvel Cinematic Universe's Winter Soldier, but if he was brainwashed by alt-right propaganda and Pepe the Frog memes from 4chan. As expected, it was pretty satisfying to see him go down after Hannah Wells kicked the crap out of him. We finally find out who the mole in the White House is close to the end of Season 1 — this traitorous old white guy. He's probably got a lot of private Facebook posts about how Democrats are trying ruin the country with chemtrails. Even more evil than her husband is Beth MacLeish, who’s obviously the real true believer of the couple. She's willing to kill her husband, and die, for whatever it is these people believe in. That's how much she hates democracy, apparently. The Manchurian Candidate vice president was in on the capitol bombing from the start, and was installed to take over the presidency after Lozano assassinated Kirkman. Of all the conspirators, MacLeish at least had some semblance of a conscience — but he still super hates America and wants to pull a coup. In the immediate aftermath of the bombing at the Capitol, Royce basically tried to make Michigan a sovereign nation. He also immediately used his police to target Muslim Americans in his state, making him the kind of fascist who would persecute some Americans to consolidate his own power. The former Chairman of the Joint Chiefs of Staff couldn't wait to bomb basically whoever was available, until Kirkman fired him. Cochran got a chance to redeem himself a bit in the final moments of the season, but he's still a warmongering jerk who thought the right thing for America was going to war for vengeance, without knowing who to get vengeance on. After Kirkman survived an assassination attempt and started to get the government back up in running, Bowman tried to use the chaos for his own personal gain. Bowman’s the kind of gross politician who personifies the Washington D.C. “swamp” that puts politics ahead of the country. Manipulated by the bad guys, the former White House chief of staff survives the Capitol bombing but goes into hiding. While it’s true he didn’t know who to trust, one can’t help feeling like Langdon could have done a lot more for the country if he hadn't just bunkered down when he knew a coup was underway. Though the bad guys have been feeding him information to try to distract the administration, Abe Leonard’s heart is in the right place when it comes to informing the public about their government -- the key to democracy. And he cares enough about the country to respect Kirkman's request to hold back on a story, too. He’s also an investigative reporter who briefly works for "Teen Mode," an awesome shoutout to the positive political writing being done at real-world magazine Teen Vogue. Dedicated though he was to the FBI, Atwood couldn’t put his country ahead of his family. The conspirators used his kidnapped son to force Atwood to help with their cover story blaming the Capitol bombing on terrorists. It nearly torpedoed the investigation, but Atwood redeemed himself by joining Hannah in finding the real conspirators. For a while there, it seemed like Aaron could be the traitor in the White House, and he was just cutthroat enough that it was hard to dismiss the possibility. But while he might be a guy more worried about his career than most other things, he was still willing to fall on his sword for his president, and for the good of America. The only remaining member of Congress, the Speaker of the House was the Republican designated survivor. Although at first she seems like a political animal looking to climb the ladder, she also proves repeatedly that she cares about America as much as her career. Not quite as selfless as some, but Hookstraten is a real public servant, at least. The FBI assistant director called in to investigate Hannah Wells, and then Jason Atwood, took a long time to come around to the conspiracy. But when he finally did, he became a dedicated ally who obviously takes his obligation to the president, and the country, very seriously. As Kirkman’s most reliable and loyal Secret Service agent, Mike becomes a close confidant and a leader of the investigation into the White House conspiracy. It’s clear that Mike is a guy for whom duty, loyalty and country are everything. President Moss, the guy who sat in the Oval Office before Kirkman’s predecessor, shows up to help out the designated survivor with some of the tougher stuff -- seemingly because he wants to help Kirkman and America through a trying time. Moss is like America’s Dad -- the one who will share a beer with you while telling you straight. Speechwriter Seth often seems to act as the stand-in for the rest of us — the guy is excited to be in his job, excited to be working for America, and excited to be on Kirkman’s staff. “Designated Survivor” starts with a skeptical Seth being inspired by the principled Kirkman, and watching him get excited to help the country is always a good time. It’s clear the reason Emily sticks with Kirkman and fights to become his chief of staff is less about her own advancement than how much she believes in him. Especially when Kirkman becomes president, Emily comes off as a person thrilled to go to her job in the White House and save America in the wake of a tragedy. A tireless FBI agent convinced from the start of a conspiracy in the government, Wells is the Jack Bauer of "Designated Survivor," but with less "enhanced interrogation." Wells is a tireless FBI agent and investigator, but there's more to it: she's serious about protecting America from treasonous jerks. The sudden First Lady is a successful lawyer on her own, and just as principles as her husband. Despite being pulled into the political world against her will, like Tom, Alex is all moral compass, all the time. She's always ready to do the right thing for the country. An independent cabinet appointee with no political aspirations, Kirkman suddenly finds himself president. Principled, compassionate, terrified of the implications of the job but obviously capable, Kirkman is every American ideal rolled up into one guy -- and he'll do anything for his country. He makes everyone who spends any time a better American just with his influence. Of course, that means self-proclaimed "patriots" try to assassinate him.